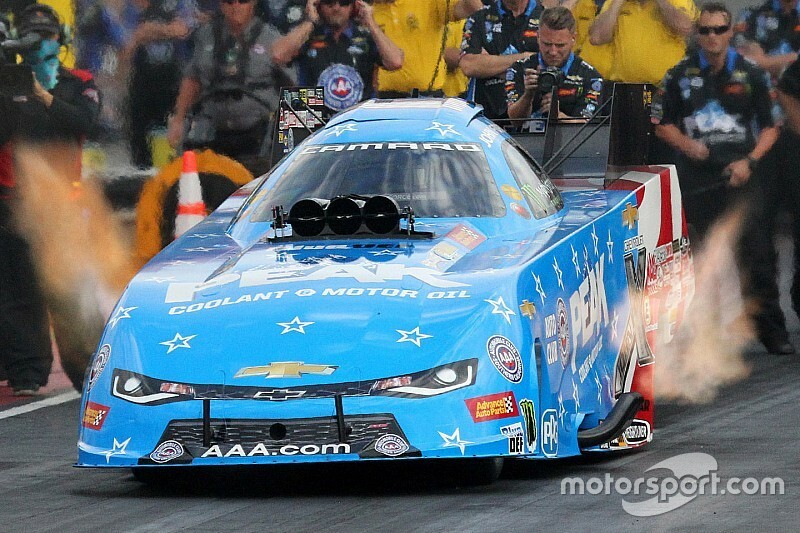 John Force took his 149th career Funny Car win and first in over a year at the Dodge Mile-High NHRA Nationals at Bandimere Speedway near Denver, as Leah Pritchett, Greg Anderson and Hector Arana Jr. were also winners. Force was in his 13th career final round at Bandimere Speedway and was pitted against Ron Capps. In his Peak Chevrolet Camaro SS, Force was able to leave the line ahead of Capps for a winning pass of pass of 4.075-seconds at 315.42 mph to the losing run of 4.067 at 308.71. This is his eighth win at the facility. Force became the winningest Funny Car winner at Bandimere Speedway and this is his first win at the facility since 2016. He defeated Matt Hagan, Cruz Pedregon, and daughter Courtney Force to advance to the finals. Pritchett dominated the Top Fuel category during the course of the weekend en route to her second win of the season and the seventh in her career. Piloting her Dodge Mopar 1320 dragster she was No. 1 qualifier for the second consecutive event and the 10th time in her career. She faced Doug Kalitta in the finals and raced to a winning pass of 3.831 at 316.45 to the losing run of 3.852 at 319.82. Pritchett defeated Terry Totten, Scott Palmer, and Clay Millican for her win at Bandimere Speedway. In Pro Stock, Anderson raced to his first win of the year, third at the facility and the 91st in his career when he defeated his teammate Jason Line in the finals. Anderson’s 6.943 at 196.53 pass in his Summit Racing Equipment Chevy Camaro to the losing run of 6.947 at 196.19 gave him the victory to snap his winless streak. Anderson also retook the points lead in the category. “We have had a heck of a battle this year,” said Anderson. 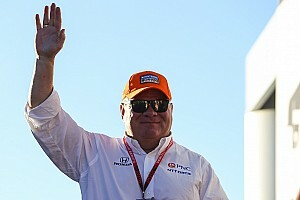 “We have had great running cars but we have made mistakes on Sundays and haven’t been able to close the deal. Anderson defeated Joey Grose, Vincent Nobile, and Jeg Coughlin Jr. to advance to the finals. Arana Jr. raced to his first win since the St. Louis event in 2015 on his Lucas Oil EBR for his 12th career win when he bested Jerry Savoie in the finals. Arana Jr. was victorious at the start of the race when Savoie red lit. Arana Jr. went on to record a pass of 7.170 at 185.89. This was the first final round of the year for Arana Jr.
TOP FUEL: 1. Leah Pritchett; 2. Doug Kalitta; 3. Clay Millican; 4. Blake Alexander; 5. Scott Palmer; 6. Steve Torrence; 7. Jim Maroney; 8. Richie Crampton; 9. Tony Schumacher; 10. Antron Brown; 11. Greg Carrillo; 12. Terry Totten; 13. Bill Litton; 14. Brittany Force; 15. Mike Salinas; 16. Terry McMillen. Final: Leah Pritchett, 3.831 seconds, 316.45 mph def. Doug Kalitta, 3.852 seconds, 319.82 mph. FUNNY CAR: 1. John Force; 2. Ron Capps; 3. Robert Hight; 4. Courtney Force; 5. Tommy Johnson Jr.; 6. Cruz Pedregon; 7. Tim Wilkerson; 8. Jack Beckman; 9. J.R. Todd; 10. Jonnie Lindberg; 11. Matt Hagan; 12. Jeff Diehl; 13. Terry Haddock; 14. Bob Tasca III; 15. Shawn Langdon; 16. Todd Simpson. Final: John Force, Chevy Camaro, 4.075, 315.42 def. Ron Capps, Dodge Charger, 4.067, 308.71. PRO STOCK: 1. Greg Anderson; 2. Jason Line; 3. Chris McGaha; 4. Jeg Coughlin; 5. Deric Kramer; 6. Vincent Nobile; 7. Alex Laughlin; 8. Tanner Gray; 9. Bo Butner; 10. Drew Skillman; 11. Matt Hartford; 12. Fernando Cuadra; 13. Erica Enders; 14. Alan Prusiensky; 15. Joey Grose; 16. Will Hatcher. Final: Greg Anderson, Chevy Camaro, 6.943, 196.53 def. Jason Line, Camaro, 6.947, 196.19. PRO STOCK MOTORCYCLE: 1. Hector Arana Jr; 2. Jerry Savoie; 3. Andrew Hines; 4. Karen Stoffer; 5. Scotty Pollacheck; 6. LE Tonglet; 7. Steve Johnson; 8. Matt Smith; 9. Hector Arana; 10. Angie Smith; 11. Jim Underdahl; 12. Angelle Sampey; 13. Ryan Oehler; 14. Joey Gladstone; 15. Cory Reed; 16. Eddie Krawiec. Final: Hector Arana Jr, Buell, 7.170, 185.89 def. Jerry Savoie, Suzuki, Foul - Red Light. TOP FUEL: 1. Steve Torrence, 1,132; 2. Clay Millican, 959; 3. Leah Pritchett, 949; 4. Tony Schumacher, 930; 5. Doug Kalitta, 893; 6. Antron Brown, 750; 7. Terry McMillen, 696; 8. Brittany Force, 658; 9. Richie Crampton, 576; 10. Scott Palmer, 544. FUNNY CAR: 1. Courtney Force, 1,156; 2. Matt Hagan, 946; 3. Ron Capps, 930; 4. Robert Hight, 911; 5. Jack Beckman, 906; 6. J.R. Todd, 832; 7. Tommy Johnson Jr., 746; 8. John Force, 735; 9. Shawn Langdon, 647; 10. Bob Tasca III, 596. PRO STOCK: 1. Greg Anderson, 1,044; 2. Tanner Gray, 976; 3. Erica Enders, 969; 4. Vincent Nobile, 947; 5. Chris McGaha, 875; 6. Drew Skillman, 842; 7. Jeg Coughlin, 838; 8. Bo Butner, 782; 9. Jason Line, 778; 10. Deric Kramer, 725. PRO STOCK MOTORCYCLE: 1. Andrew Hines, 591; 2. Eddie Krawiec, 564; 3. Hector Arana Jr, 501; 4. LE Tonglet, 493; 5. Jerry Savoie, 481; 6. Scotty Pollacheck, 417; 7. Matt Smith, 411; 8. Angie Smith, 304; 9. (tie) Hector Arana, 289; Angelle Sampey, 289.